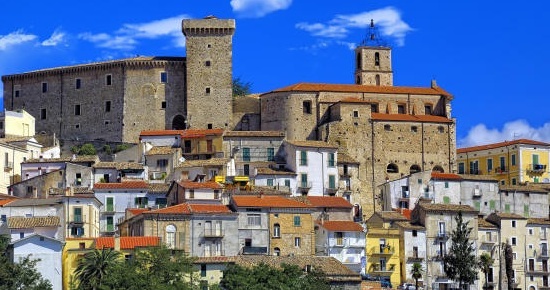 Only 200 km northeast of Rome and just a few km away from the Adriatic Sea lies the city of Chieti, one of the oldest cities of the Peninsula, located halfway between the Adriatic coast and the mountains of Majella and Gran Sasso, in the heart of Abruzzo. It was a Roman town with the name of Teate, and an important medieval centre, Roman and medieval ruins are found side by side. 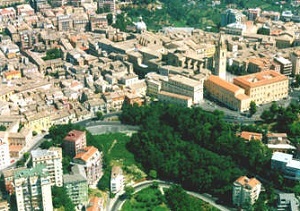 It is divided into two parts: Chieti Alta, on a hill, and Chieti Scalo, university and commercial area in the lower side. Thanks to its location the city enjoys unique views to the richness and variety of landscapes. The city is served by the main transport networks on the Adriatic coast of central Italy (A14 and A25) motorways, and railway lines. Abruzzo Airport which is only 12 km from the historic center is in part located on the territory of the Province of Chieti. Chieti, like Sulmona, sinks its origin in a mythological past: is one of the oldest cities in Italy and mythology has it that it was founded by Achilles, who named it in honor of his mother Teate. Other notions on the legendary origins of Chieti tell us that it was founded by the Pelasgi people in honor of the nymph Thetis, others claim it was founded by Ettore, 494 years before the birth of Rome, yet, according to the historian greek Strabo, the city was founded by the Arcadians and was initially called Tegeate. 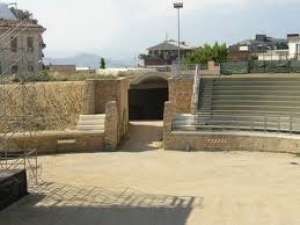 What is certain is that Chieti, the ancient Teate Marrocinorum, was the capital of the warlike people of the Marrucini, who distinguished themselves for the tough battles against Rome ended with a peace treaty, and from that moment the Marrucini were faithful allies of the Romans, providing them with military support in many important battles. With the collapse of the Roman Empire, Teate was exposed to the barbarian invasions and during the course of the centuries its history is closely linked to changes brought about by the succession of rulers such as the Norman, Swabian, Angevin and Aragonese. In the Risorgimento period Chieti participated in the struggle for unity and the independence of Italy in 1820, in 1848 and 1859. During the second world war the city was saved from destruction thanks to Monsignor Giuseppe Venturi, his archbishop, and was declared "open city open". 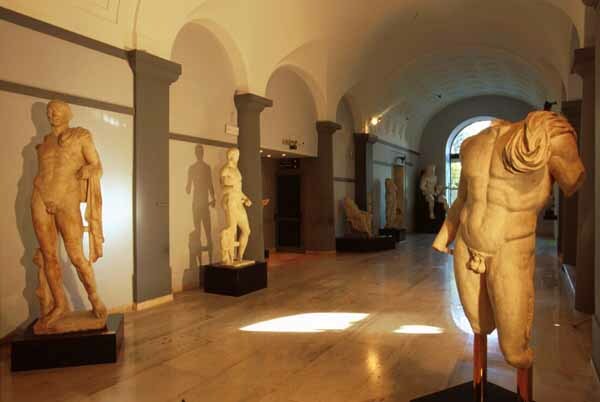 Chieti retains all the beauty of the Roman and medieval period. It 'a city of culture, but also lively and busy: narrow streets, charming views, archaeological evidence of a glorious past are combined with modernity, progress and emancipation, the streets are full of artistic works which suggest why this city has been a cultural center thought history. 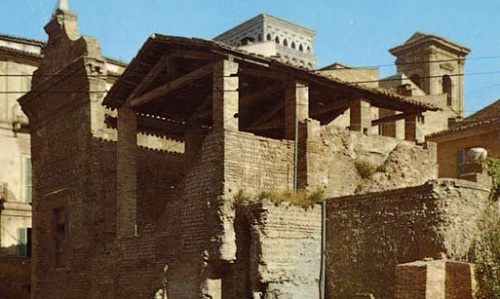 ...the Thermal baths and an entire underground city which was the former Theate, just below the present city center. For reasons outside the public domain, the ruins are not open except for some rare occasions. The cathedral of S. Giustino (XIV sec. ), risen on a preexistent building built by bishop Teodorico (840 a.D.), keeps interesting frescoes in its interior and a nice bell tower, adorned with interesting mullioned windows. The Gothic Cathedral, re-built by bishop Attone I in 1069. Of that building only parts of the Romanesque crypt remain. 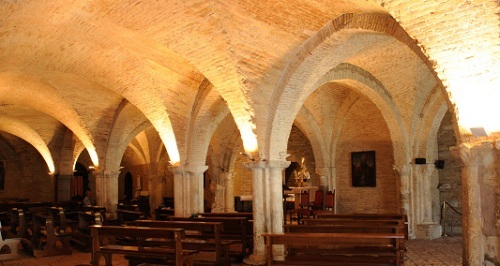 Church of San Francesco al Corso, founded in 1239. The façade shows an incomplete Baroque restoration. The city is served by the main transport networks on the Adriatic coast of central Italy (A14 and A25) motorways, and railway lines. Abruzzo Airport which is only 12 km from the historic center is in part located on the territory of the Province of Chieti. Events in the city : Corpus Domini Infiorata (floral display) on June 13. Easter Week Friday Procession.